Since I live in the Midwest, Thanksgiving weather is always cold, usually damp, and sometimes snowy. The brilliant colors of fall are over; the landscape is a combination of grays and browns. Groups of four, partnered up. 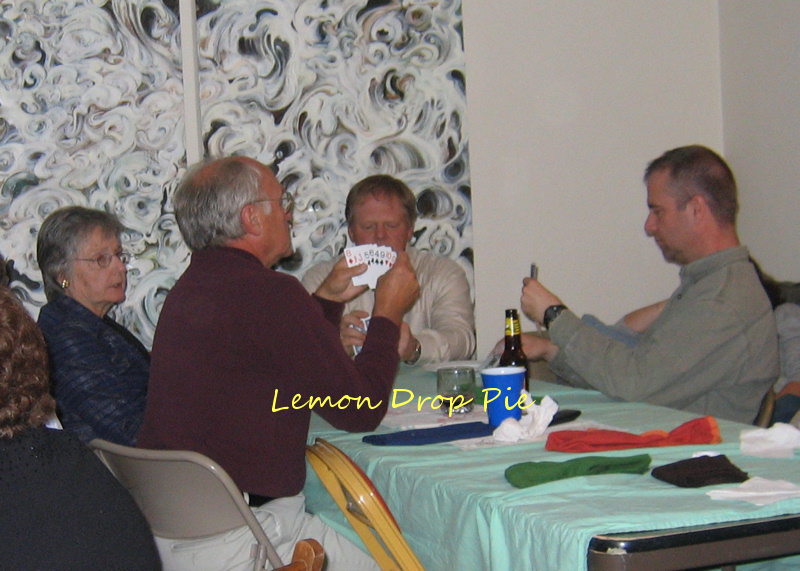 Players arranging their hand, bidding, cursing, laughing. My memories of Thanksgiving are of my family playing 500. I’m hoping I get to play a loud, fun game of 500 this Thanksgiving. What does your Thanksgiving look like? If you don’t live in the U.S., do you have a holiday which is similar to our day of giving thanks? Today’s post is brought to you by Mama Kat’s Writer’s workshop, which is open even on Thanksgiving! No Thanksgiving and nothing like it either really. The only place where I would see card playing when I was younger was at my grandparents' home. The men would play cards, while the women would cook and do the dishes and embroider and knit… you get the idea. Cards! That sounds like fun. Have a wonderful day and enjoy all the delicious food! Love it! It reminds me of my mother, she was something of a card shark. Nothing she loved more than spending the day playing gin or bridge or canasta or spades or hearts! I don't play cards, but my family does. After dinner all my aunts and uncles play cards for the rest of the night. They have a blast!Stopping by from Mama Kat's….Happy Thanksgiving!